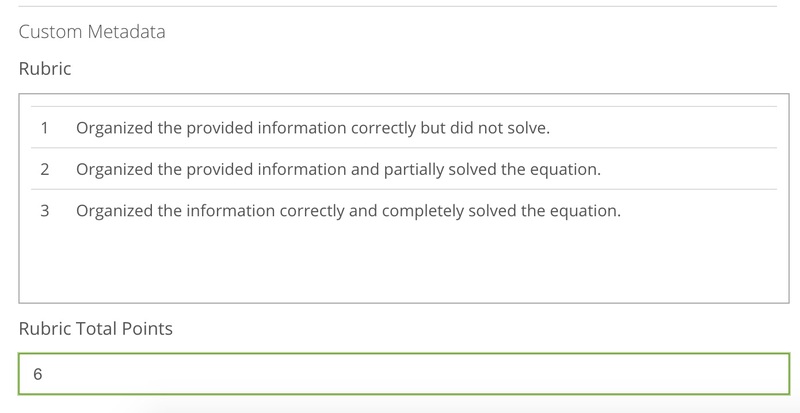 A formula essay question allows the student to enter and format text, using a keyboard, and calculator interface with formulas, to respond to a stimulus. This type of question supports rubric grading. In the Compose Question field, type the question. Select the formatting options you want to have available to the students. You can add more by clicking on the Add button or delete by clicking on the garbage icon. In the Rubric section, enter the rubric criteria. You can create this as a table by clicking the Table icon. Then enter the total rubric points.